Heidi Sosik, a senior scientist in the Biology Department at Woods Hole Oceanographic Institution (WHOI) has been named a 2018 Fellow of The Oceanography Society (TOS). Sosik’s accomplishments will be formally recognized on Feb. 13, 2018, during a ceremony at the 2018 Ocean Sciences Meeting in Portland, Oregon. Sosik’s research focuses mainly on marine phytoplankton—the massive community of microscopic plants that form the base of the food chain in the ocean. She co-invented/developed a robotic instrument called the Imaging FlowCytobot, which detects and photographs plankton underwater and then transmits observations back to shore. The innovative tool is helping scientists better understand what factors in the environment determine where and when different kinds of phytoplankton grow and bloom. Sosik is the lead investigator of the new Long Term Ecological Research (LTER) site, which spans the continental shelf off the Northeast U.S. coast. The multi-year project, funded by the National Science Foundation, will assess microscopic plant and animal populations and yield large amounts of data that will aid in the understanding of the flow of energy through the ecosystem from phytoplankton to fish, illuminating how the food web is structured and shifts in response to environmental changes. Sosik came to WHOI as a postdoctoral scholar in 1993 and joined the staff in 1996 as an assistant scientist. She became a senior scientist in 2008. 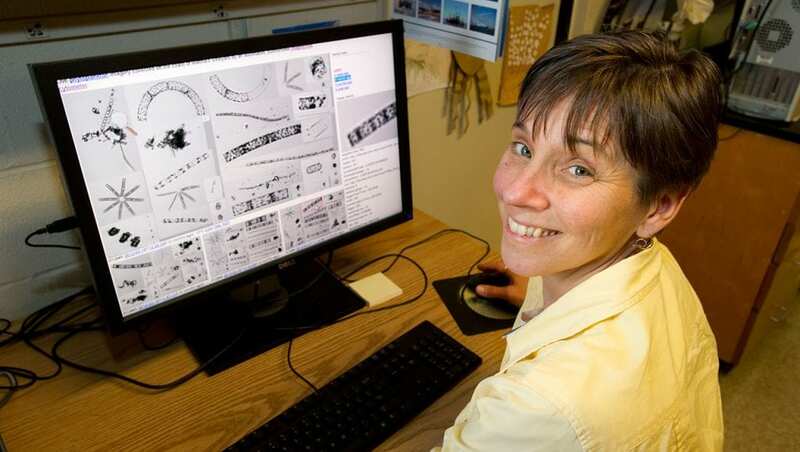 In 2013, she was honored with the WHOI Senior Scientist Leadership Prize. Sosik has received numerous awards, including The Stanley W. Watson Chair for Excellence in Oceanography in 2017, and an Arons Award for Excellence in Teaching, Advising and Mentoring in 2015. Sosik earned her S.B. in Civil Engineering, Massachusetts Institute of Technology in 1987, her S.M. in Civil Engineering from the Massachusetts Institute of Technology in 1988, and her Ph.D. in Oceanography from the University of California, San Diego, Scripps Institution of Oceanography in 1993. WHOI biologist Heidi Sosik analyzing real-time data collected with the Imaging FlowCytobot.